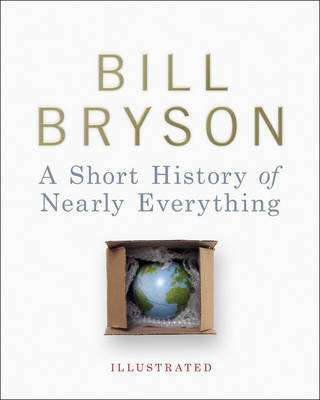 In the bestselling, prize-winning "A Short History of Nearly Everything", Bill Bryson achieved the seemingly impossible by making the world of science both understandable and entertaining to millions of people around the globe. Now, in this glorious new illustrated edition, everything that has happened from the Big Bang to the rise of civilization is even more vividly brought to life with stunning full-colour photographs, drawings, portraits, and cartoons. "Stylish [and] stunningly accurate prose. We learn what the material world is like from the smallest quark to the largest galaxy and at all the levels in between . . . brims with strange and amazing facts . . . destined to become a modern classic of science writing." "Bryson has made a career writing hilarious travelogues, and in many ways his latest is more of the same, except that this time Bryson hikes through the world of science." "Bryson is surprisingly precise, brilliantly eccentric and nicely eloquent . . . a gifted storyteller has dared to retell the world's biggest story." "Hefty, highly researched and eminently readable." "All non-scientists (and probably many specialized scientists, too) can learn a great deal from his lucid and amiable explanations." "Bryson is a terrific stylist. You can't help but enjoy his writing, for its cheer and buoyancy, and for the frequent demonstration of his peculiar, engaging turn of mind." "Wonderfully readable. It is, in the best sense, learned." "[A Short History of Nearly Everything] is a crash course in the basics of climatology, chemistry, biology, botany, geology and physics. Bryson's enthusiasm is infectious, his explanations simple. You don't need to be a rocket scientist to get them." I picked this up on the recommendation of a colleague after I said I wanted to start reading more non-fiction.